Ann I Am! 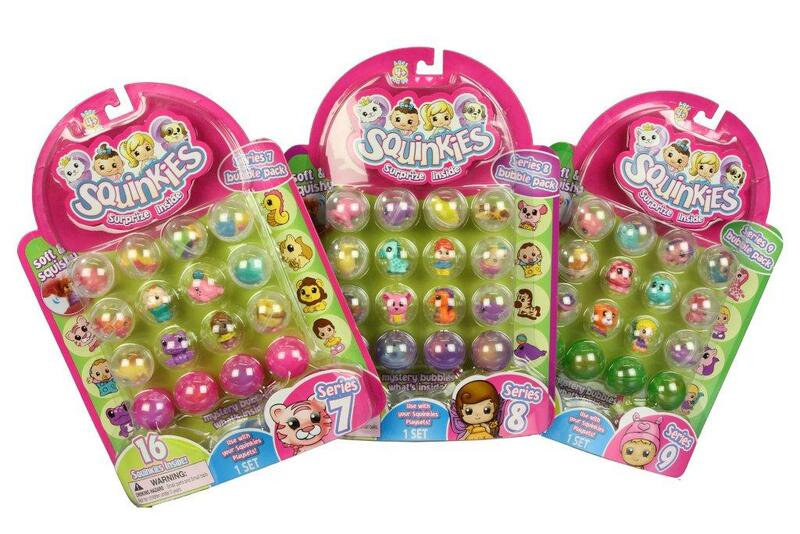 : It's Here--The SQUINKIES GIVEAWAY! CLOSED!!! 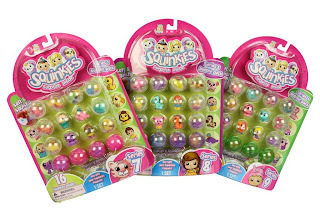 It's Here--The SQUINKIES GIVEAWAY! CLOSED!!! Sorry about the delay in this giveaway, but it is finally here! One of my lucky readers will win a 16 blister pack of Squinkies. I am not sure what set you will get, but these little guys are really cute! My girls are having a blast playing with them! They come in little clear bubble containers with some being frosted so you can't see the contents. They are tiny, so if you have little ones still around, you need to be very careful (they are rated for ages 4 and up). They are soft and squishy and the characters are very cute animals or people. They have little holes in the bottom so they can be used as a pencil topper. Their are hundreds of Squinkies for your child to collect. My readers have a chance to win their own 16 blister pack of Squinkies. Giveaway open to residents of the US only. You must leave a way for me to get in touch with you. A winner will be selected using Random.org. Winner will be notified by email and must respond within 3 days or another winner will be chosen. Giveaway ends on January 31, 2011 at 11:59pm. Thanks to Ren Beanie Public Relations/Squinkies for sponsoring this giveaway item. Ann Crabs reviews/author assume no liability for damages associated with any prizes awarded here or contents contained therein. Prizes lost in the mail or those not delivered by sponsors are not the responsibility of Ann Crabs. Giveaway sponsors are responsible for shipping prizes that are offered on Ann Crabs. Please allow 2-4 weeks for delivery of any prizes won. If you do not receive your item AFTER that time, please email me and I will follow up with them. I entered your Free Pasta for a year. Following you via GFC (furygirl3132) Thanks so much for hosting this wonderful giveaway! Oops... forgot to add... i follow on GFC! I am a fan of squinkies on twitter! I entered the FREE PASTA FOR A YEAR giveaway. I follow Squinkies oon Facebook. I follow Squinkies on Twitter.